The Charlotte Stone Crabs defeated the Bradenton Marauders 6-1 on Saturday night at Charlotte Sports Park. The record breaking crowd of 7,492 fans that braved the persistent rainfall and rain delay were rewarded by a Stone Crabs victory and a spectacular fireworks show to celebrate Independence Day. The Stone Crabs took the lead in the bottom of the first inning. Isaias Velasquez led off the inning with a single to left. Tim Beckham followed with a single to short to put two runner aboard. Stephen Vogt drove home the runners with a two run double to center, scoring Velasquez and Beckham for a 2-0 lead. Bradenton pulled with a run of the lead in the fourth inning. Quincy Latimore led off the inning with a double to left. Latimore later scored on an RBI single by Austin McClune to make the score 2-1. 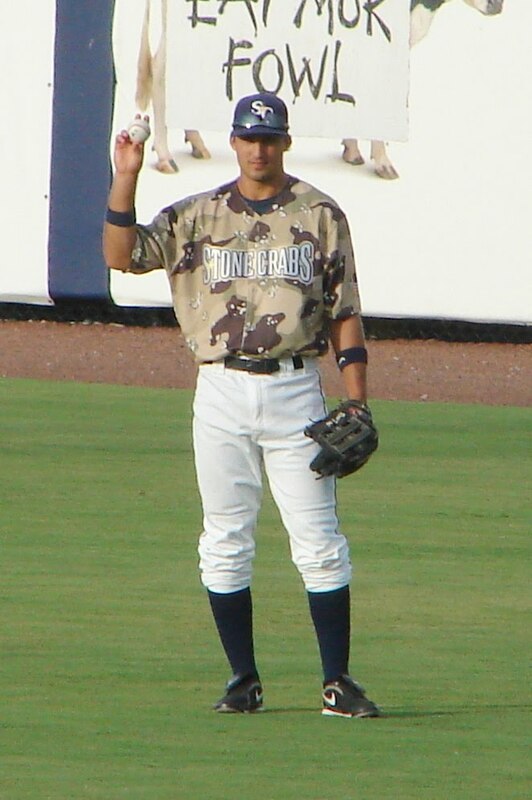 But the Stone Crabs matched their runner and raised it one in the bottom of the fourth. Reid Fronk reached on a force out followed by a double by Jake Jefferies to put two runners in scoring position. Kyeong Kang then plated both runs with a double to center, increasing the lead to 4-1. The Stone Crabs would add two more insurance runs to the scoreboard in the sixth inning. Greg Sexton led off the inning with a walk then advanced to third on a single by Fronk. Fronk stole second base to move into scoring position. Jefferies hit sac fly to center that scored Sexton and moved Fronk to third. Then Michael Sheridan drove home Fronk with a single to give the Stone Crabs the 6-1 margin of victory. Nick Barnese picked up the win, pitching 6 innings and allowing 1 run on 5 hits with 4 strikeouts and 3 walks. Justin Garcia recorded the save by pitching 3 no-hit innings and striking out 2. The Stone Crabs (3-7) hit the road for a three game series against the St. Lucie Mets (7-3) at Digital Domain Park. Joe Cruz (5-5, 3.92) will be on the mound against Robert Carson (6-4, 4.54).